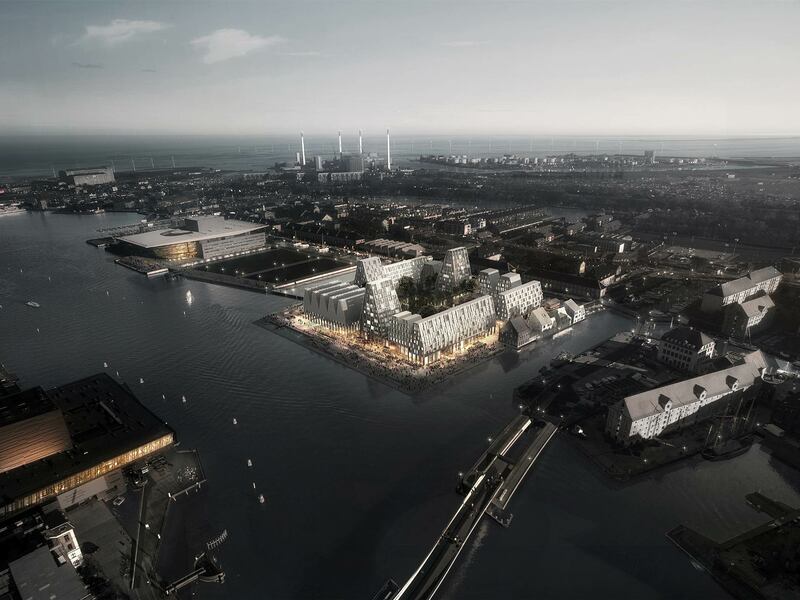 Christiansholm – also known as Paper Island – in the heart of Copenhagen's harbor is one of Copenhagen’s most attractive locations. 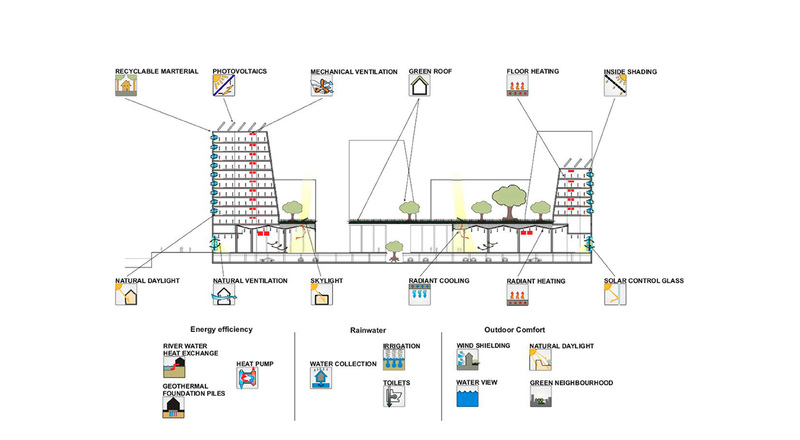 The vision of the competition won by the team led by COBE is to create a unique area, where manageable and intimate street spaces provide a space of high environmental quality. The 45,000-square-metre development contains a re-interpretation of the successful former industrial halls by creating a plinth with pitched-roof halls containing event spaces, galleries and a swimming pool. Housing is placed on top of the ground-level uses that surround a green public courtyard. The access to the west facing promenade with great view and solar access in the afternoon is granted, whilst the massing acts as a noise and wind barrier for the interior courtyard and the green areas of the residential units that are located on top of the ground floor halls. The buildings’ unique shape maximizes access to sunlight and the view to the water for the apartments. The depth of the apartments ensures daylit and naturally ventilated rooms. The use of plants on the roof and in the courtyard improves outdoor comfort by creating an adaptive microclimate. The retail zones are located as free standing elements in the large halls of the plinth. The halls act as a thermal buffer zone tempered by floor heating, flooded by daylight and flushed by natural ventilation with a combination of façade and roof openings. During summer period the facades of the plinth are retracted transforming the halls into a shaded outdoor area. Taking advantage of the prime location of the island, thermal use of the river water acting as a heat sink in summer and a heat source supported by a heat pump in winter minimizes total energy demand of Christiansholm to a minimum. The clients goal was to create a highly sustainable development. 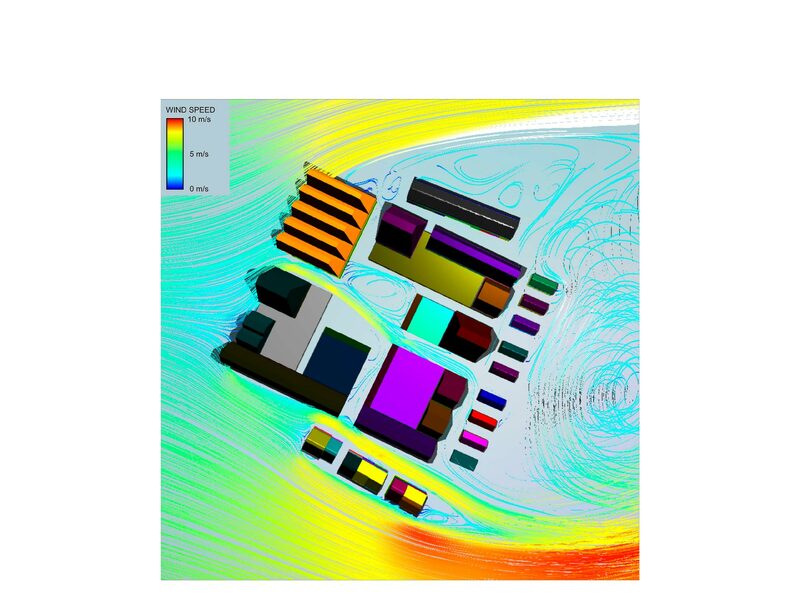 Transsolar supported the design team during the competition and early design phase in developing the concept and optimizing the massing of the masterplan with the goal to maximize indoor and outdoor comfort, passive measures and to reduce the resource demand for building operation to a minimum.